This is the official online payment website for Community Associations managed by Liberty Community Management. If you have a question about your account, please log on to your account or email us at info@libertycm.com if you do not have your login information. Payments made via this website should be submitted at least three (3) days before the due date to avoid late fees. If you experience any technical difficulties making a payment, please click on the Technical Support button below. Because you are initiating and authorizing this payment for association dues, by making this payment, you acknowledge that you will not file a dispute for the transaction. Please contact Liberty Community Management in the event of overpayment. IMPORTANT: A service fee of 3.25% will be added to all payments made using a Credit Card. A service fee of $1.35 will be added to all payments made using a bank account (eCheck). This fee is not collected by your HOA but by Liberty Community Management who provides this payment option. A fee will be applied to this payment. 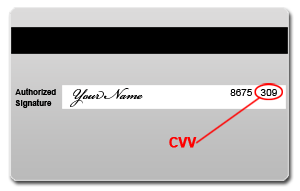 If you pay with a Credit Card,the fee amount will be added to the amount of your payment and the total payment amount will be deducted from your account.If paying by eCheck your account will incur TWO debits: One for the Principle HOA Payment, and one for the $1.00 fee paid to Liberty Community Management for providing this payment service. By checking the box below you hereby confirm your acceptance of the fee, if applicable, and agree to pay the total amount indicated in accordance with this website's terms and conditions. If you do not accept the fee or the transaction total, simply close your web browser (or browser tab) to exit the payment form and cancel this payment.